So now that Christmas (and consequently, Christmas work hours) is done and dusted, I have time to come back and make some posts - yay! 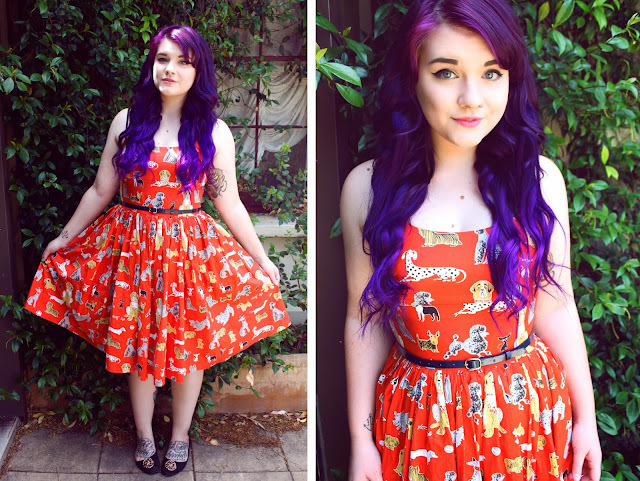 I thought I'd start with a recap of my festive season, including my Christmas outfit (above). 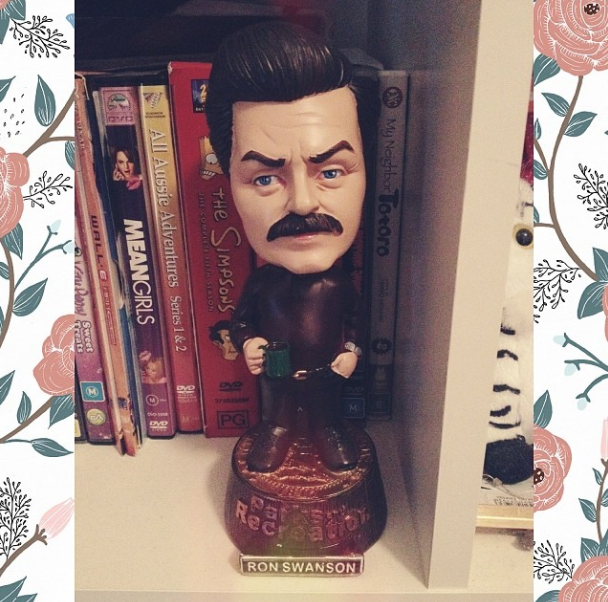 Parks & Recreation is probably my favourite TV show, and I wish they made bobbleheads of the entire cast because I seriously wouldn't even think twice about buying them all, haha. On Christmas night, Sam, his friend Jordan and I took a trip to the movies to see Anchorman 2. I don't think it was ever going to live up to the brilliance of the original, it was still very funny and a good way to spend the night! Amy Poehler makes a cameo as well, which was a-okay with me, and I was really glad that Brick got a bit more character development and screen time in the sequel, because he was always my favourite character. I'm sorry if this post seems a bit rambly or nonsensical, I'm not very well at the moment (I have the equivalent of tonsillitis, seeing as I no longer have tonsils) and concentrating is a bit difficult, but I was just too excited about that dang bobblehead to wait any longer! You look so beautiful, Shannen! I hope you had a lovely Christmas! You look so gorgeous Shannen! I hope you had a marvellous Christmas and I can totally agree with you working in retail wears us thin this year was my fourth Christmas and the only Boxing Day I wasn't on antibiotics for colds caused out of over working myself! Please take care of yourself sweetpea! What an amazing dress, you look beautiful! I love your purple hair as well. Hope you're well xo. For affiliation and sponsorship enquiries, please email myfriendmunster@gmail.com!